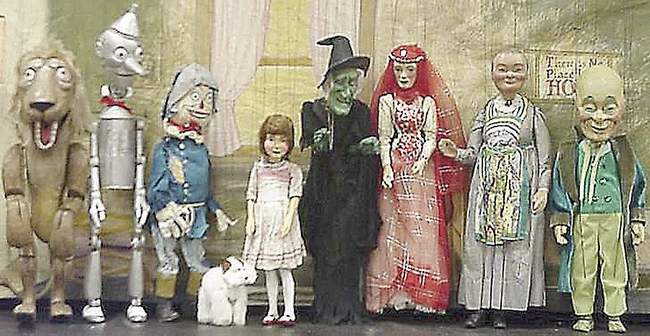 ‘Wizard of Oz’ to be performed The popular L. Frank Baum story “The Wizard of Oz” will get a fresh telling when brought to life by Steven’s Puppets in the next Tibbits Popcorn Theatre production. The show will play at 10 a.m. Friday and Saturday, Aug. 1-2 at Tibbits Opera House in Coldwater. World leaders in the puppetry arts for over 80 years, Stevens Puppets bring this classic tale to life with artfully hand-carved wooden marionettes and a musical score audiences will be humming all the way home. The performances are fully-staged productions with beautifully hand-painted scenery that help give life to the miniature actors, weaving a spell of childhood over audiences of all ages. Pity the Poor Munchkin Five years after his death, Mickey Carroll – the beloved town crier of Munchkinland in “The Wizard of Oz” – lies in an unmarked tomb. The pint-sized actor, whose real name was Michael Finocchiaro, also played a Munchkin soldier and a candy-striped fiddler in the classic 1939 film. A statement from the family attorney said: “The memorialization of Mickey’s final resting place will be completed as soon as possible.” Ironically, Mickey worked as a stone carver in his family’s business. Wizard Of Oz Convention Comes To San Diego “San Diego is rich in connections to The Wizard of Oz,” says Eric Shanower, Oz illustrator, and writer of the New York Times best-selling series of Oz graphic novels. Shanower will be making an appearance at Winkie Con 50. “L. 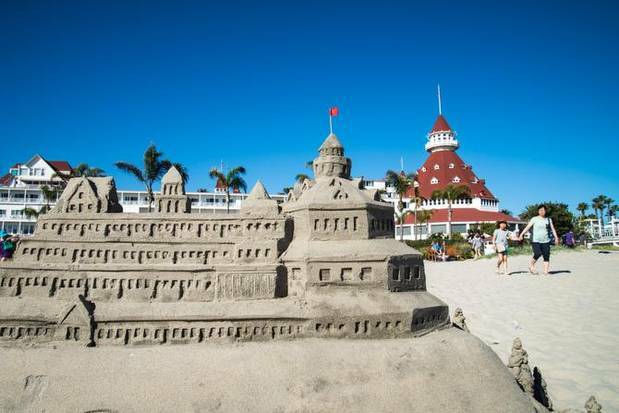 Frank Baum fell in love with the San Diego area when he first wintered in Coronado in 1904. In one book of his Aunt Jane’s Nieces series he has the girls vacation at the Hotel Del Coronado. In one of his Flying Girl books he celebrates San Diego’s early aviation history. 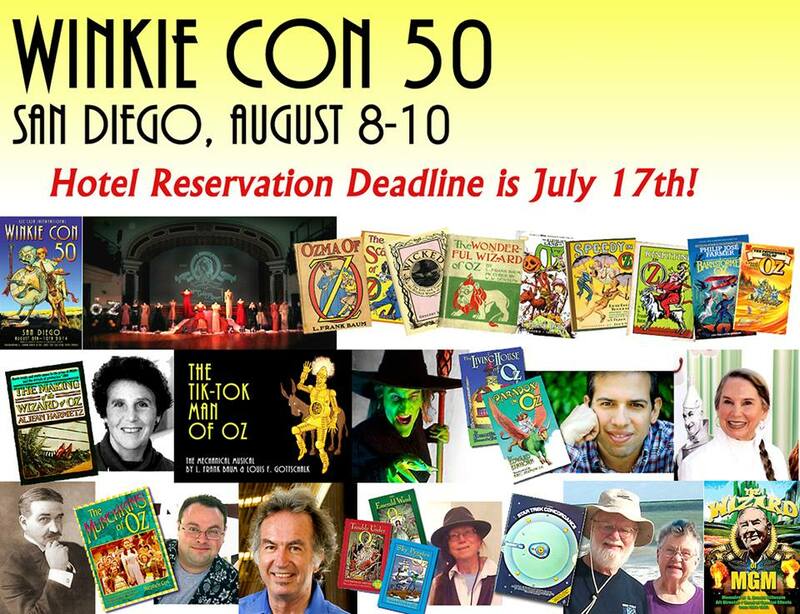 And three of his fantasy novels begin in La Jolla, including one of the Oz books.” To highlight Baum’s Coronado connection, Winkie Con has teamed-up with the Coronado Cultural Arts Commission to develop a week-long Oz festival in Coronado, August 1-7, that will lead up to Winkie Con 50. Lions and tigers and… CEOs? ‘The Wizard of Oz’ as leadership guide The little black Cairn terrier who rose to doggy-fame from MGM’s 1939 classic, “The Wizard of Oz,” (which was based on the book, The Wonderful Wizard of Oz, by L. Frank Baum) is arguably the most famous canine in movie history. Toto’s character (played by a female dog, believe it or not) might even be more important than some give him credit for. Kevin Fickenscher, medical executive and now business author, sure thinks so. Fickenscher, in his book Toto’s Reflections: Leadership Lessons from the Wizard of Oz, suggests that the greatest leader in the Land of Oz wasn’t the wizard. And it wasn’t Dorothy or Glinda, either. There’s no place like home for Judy Garland fans worldwide From her appearance in the 1939 Wizard of Oz film in those ruby red slippers at the age of 17, Judy Garland became an instant superstar. Now her memory lives on with the International Judy Garland Fanclub, which has hundreds of members from around the world. It is run from a bedroom in Armley, Leeds, by secretary Marielle O’Neill, 26. 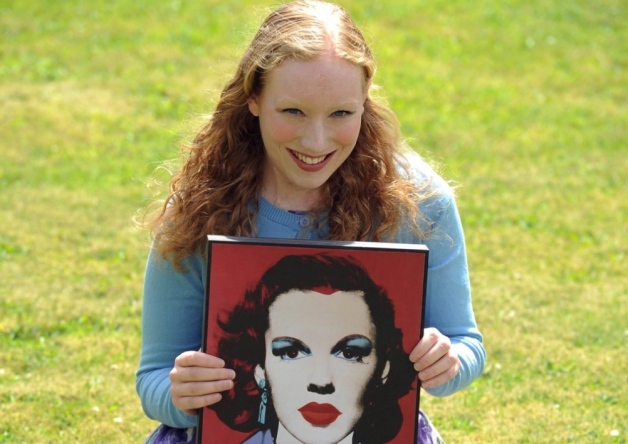 She runs the official fanclub with Gary Horrocks from Beverley, who is club president and also editor of the journal ’Judy Garland: A celebration’. Oz’s Cowardly Lion and Paul McCartney Once Lived in this Beverly Hills Home What do Paul McCartney of “The Beatles” and The “Cowardly Lion” in the “Wizard of OZ” have in common? An address apparently! A residence in Beverly Hills, which attracted several high profile celebrities like Melanie Griffith and pin-up girl Betty Grable apart from the aforementioned celebrities, can now be yours for $28.5 million. The residence at 9555 Heather Rd was built in 1941 for Bert Lahr – the man who played the “Cowardly Lion” in “The Wizard of Oz.” It was designed by starchitect Paul Williams and has been renovated with care to include the most modern amenities while preserving its original touches. 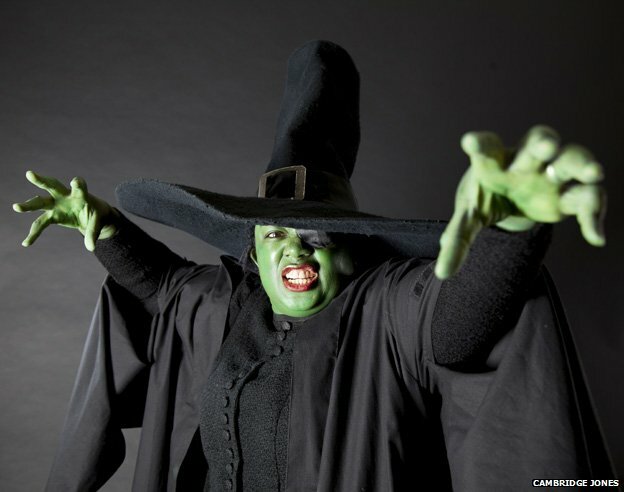 See ‘Wizard of Oz’ come to life Beloved “Wizard of Oz” characters including Dorothy, Scarecrow, Tin Man, Cowardly Lion, Glinda the Good Witch, the Wicked Witch of the West and The Wizard will come to life Friday in a special event at the Lehigh Valley Heritage Museum in Allentown. The event is like a live exhibit, with visitors taking guided tours through seven scenes from L. Frank Baum’s classic story. There’s even a dog portraying Toto. The museum also will show the earliest surviving film version L. Frank Baum’s book, “The Wonderful Wizard of Oz.” Created by the Selig Polyscope Co. in 1910, the 13-minute silent film draws heavily on the book and the 1902 stage musical adaptation. Bay Area Playwrights Festival’s final 6 playwrights “We ended up reading over 500 plays this year,” says Amy Mueller, now in her 13th year as artistic director of San Francisco’s Playwrights Foundation. That’s 500 candidates to fill the six slots for fully rehearsed – and then re-rehearsed – staged readings at the 37th annual Bay Area Playwrights Festival.”Ozma of Oz” by Rob Melrose, a musical adaptation of L. Frank Baum‘s second “Oz” sequel, is the foundation’s fourth co-production with another company (Melrose’s Cutting Ball Theater). Ohio State marching band will make a trip to Oz in halftime show A journey to Oz is in store for the Ohio State University Marching Band. Sometime this fall, the ensemble will mark the 75th anniversary of the film The Wizard of Oz with a halftime performance seemingly on par with the heightened formations and theatrics that last season made the musicians a worldwide viral sensation. “Dorothy will be on her journey to get back to Ohio. You will see flying monkeys; some crazy, wonderful things. We will have a great time with a Buckeye spin on this wonderful, historical film.” Naturally, the wicked witch will hail from Michigan. Originator of the National Oz Museum, Willard Carroll, to Speak at Freeport Players’ Matinee of WIZARD OF OZ Willard Carroll, the premier collector of original Wizard of Oz memorabilia and originator of the National Oz Museum, will speak before the matinee performance on Sunday, July 20, at 12:30 pm. Carroll will also answer questions about his collection and the museum, and will show a brief video. He began collecting Oz items as a child, and owns thousands of them, including the hourglass used by the Wicked Witch, an original costume worn by one of the Lollipop Guild Munchkins, and a dress worn by Judy Garland. He also has toys, posters, lunchboxes and more. Carroll will bring an original poster to show. The talk and performances are at Freeport Performing Arts Center, Holbrook St., Freeport. 25 things you didn’t know about the Wizard of Oz Victor Fleming’s screen version of L. Frank Baum’s The Wizard of Oz turns 75 this summer, and chances are you’ve seen this 1939 cinema classic often enough to figure you know everything about it. David J. Hogan would beg to differ. Even in the era of Google and Wikipedia, there are still stories worth telling about Oz that can be unearthed through diligent digging. Which is what exactly Hogan, an Illinois writer and film scholar, demonstrates with his entertaining new book The Wizard of Oz FAQ: All That’s Left to Know About Life According to Oz. There are tales of Toto’s doggie breath, Judy Garland’s Oz uppers, the real feline that almost played the Cowardly Lion, the exiled child Munchkin (but no suicidal one) and Mary Pickford’s major Canadian contribution to Oz. Rent Dorothy’s House from the abandoned Land of Oz theme park! Good news fans of Oz! 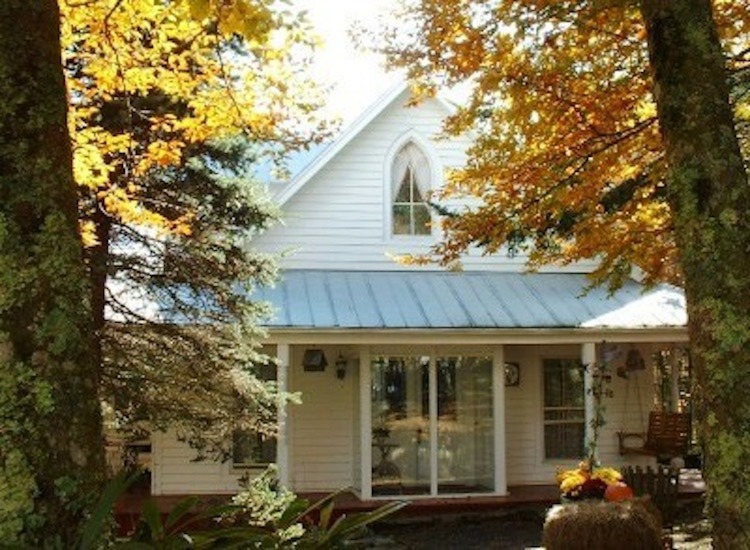 You can now rent Dorothy’s house at the abandoned Land of Oz theme park! The park was open from 1970 to 1980 and it’s opening day saw over 20,000 visitors. Guests enjoyed strolling down the Yellow Brick Road, and hanging out with the Cowardly Lion, Scarecrow, Tin Man and the Wicked Witch of the West. Afterwards, there was a show at the Emerald City, complete with a balloon ride, which was actually a modified ski lift. Visitors could enjoy a breathtaking view of the park amidst Beech Mountain Resort’s gorgeous scenery. Unfortunately the death of the original owner before the park opened and a mysterious fire in 1975 marred the initial success of the park and it closed suddenly in 1980. Now, the Yellow Brick Road is missing a few of its bricks, but most of the park is still there, albeit in various states of disrepair. The park is open once a year for a reunion of former employees and past guests, called “Autumn at Oz.” In 2009, over 8,000 people attended. Every year more characters return and more vendors show up. So, if you’re in the area, drop by for a stroll through the poppy field. There’s No Place Like Home: Kathleen Sorbello Discenna Is Preserving the OZ Legacy in Central NY! This August, I will be joining the ranks of Oz and Judy Garland enthusiasts and artists of all kinds, as we jointly endeavor to help preserve and protect a home that is so crucial to the Baum and Oz legacy. One woman has made this her life’s work to protect the Baum legacy and bring recognition to Central New York State. Part of that mission is preserving this important historical edifice. So, for the sake of this narrative, please forget the man behind the curtain, and allow me to introduce Kathleen Sorbello Discenna. She is the very important woman behind the curtain. Mrs. Discenna has been working tirelessly with unending fervor to protect this part of the The Wizard of Oz legacy and its connection to Baum and his relatives. The fruits of her labor will culminate in a weekend gala event and fundraiser August 22 to 24 entitled: The Wizard of Oz Spectacular. Wizard of Oz to receive IMAX outing The Wizard of Oz will be released in IMAX 3D across the UK on Sept 12 through Warner Bros. Marking the 75th anniversary of the much-loved classic, the film has been digitally remastered into the image and sound quality of An IMAX 3D Experience, with proprietary IMAX DMR technology. Warner Bros initiated the 3D conversion with an 8k scanning of the original Technicolor camera negative, which was then transformed by creating a depth-map of each frame to construct 3D imagery. This was followed by the long process to further refine viewer distances and fully layer shapes and objects with the use of a rotoscope. The 75th anniversary edition of The Wizard of Oz will be released on Blu-ray and DVD from Nov 3, 2014. ‘No place like home’ theme for Tour de Belleville This year’s Tour de Belleville with a “Wizard of Oz” theme should provide plenty of opportunities for family fun when bicyclists hit the streets for the ninth annual road ride through the city. The “Wizard of Oz” cast will be in attendance, including Dorothy, Toto, the Wizard, the Scarecrow and the Lion, according to Debbie Belleville, the director of the Belleville Parks and Recreation. The registration price includes a shirt and water bottle. As in past years, the race T-shirt is your ticket to ride. This year’s shirt will be the color of the Yellow Brick Road and feature a hot air balloon and a few of the characters from the movie, Belleville said. You can register at http://www.tourdebelleville.com. Fundraiser offers new twist on ‘Oz’ Habitat for Humanity of Champaign County will present on the evening of July 14 the “Wizard of Oz: There’s No Place Like Home” event, featuring a reception before the screening of the classic 1939 movie at the Art Theater Co-op. Costumes are welcome. Guests who want to dress as “Wizard of Oz” characters will receive 10 percent off the themed-costumes and apparel at Dallas & Company in Champaign. At 7:15 p.m., guests will move across the street to the Art Theater Co-op for the screening of a 75th anniversary release of “The Wizard of Oz.” Sheila Dodd, executive director for Habitat, will share a few updates, and local movie critic Chuck Koplinski will provide remarks about the movie. Wizard of Oz Sequel EMERALD CITY Set for 2014 Toronto Fringe Festival Emerald City – a musical play, has an incredible cast of young talent. Dorothy will be portrayed by Christie Stewart, who was previously chosen as a Top 20 finalist for the role of Dorothy on Andrew Lloyd Webber‘s CBC television series Over the Rainbow. The show also features Matthew Fuller as Tin Man, Chris Vergara as Scarecrow, Dillan Chiblow as Lion and Rory Bray as Glinda. Join Dorothy and her friends on their trip down the yellow brick road as they bring the Emerald City to life at Toronto Fringe 2014 from July 2 to 13. The show will be performed at the Tarragon Theatre Mainspace.